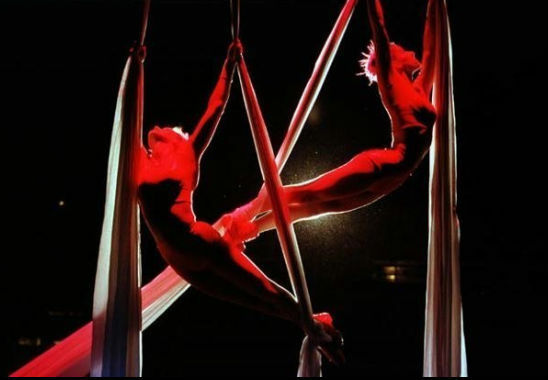 Aerial Dance Company specialises in multiple girl aerial silk acts and bespoke aerial acrobatics shows. The company has been performing in the UK and internationally since 1999 building a strong reputation for high quality performance at major live events and in film and television. Aerial Dance Company offers breath-taking aerial silks and hoop solo, duo and group acts of up to 6 performers, including their brand new Olympics aerial hoops act. Aerial Dance Company gives you tightly choreographed, bespoke and beautiful aerial acts, especially suited to profile events and large venues. They have experience and expertise in working over water, in trees, off cranes and before royalty. 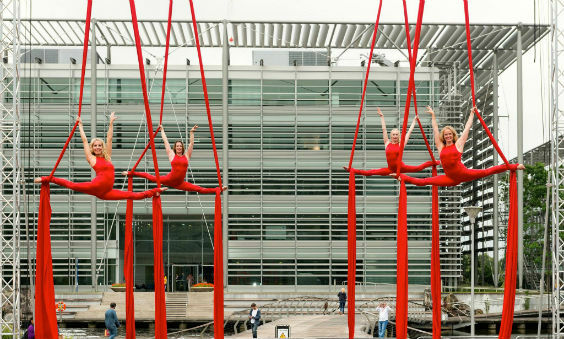 Aerial Dance Company have performed all over in the UK and across the world from Lapland to Thailand, Dubai to Shanghai, India to Istanbul. 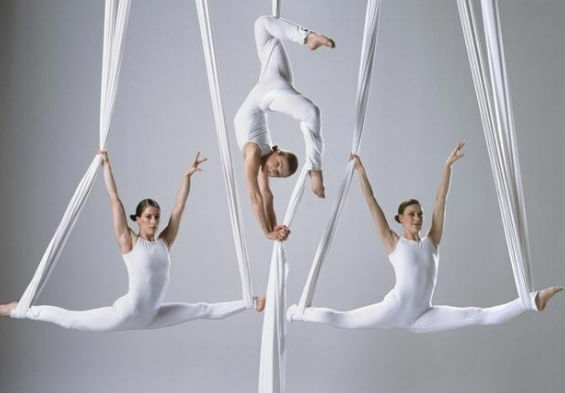 Aerial Dance Company performers have featured in a number of TV Advertisings and movies such as Batman Begins and Sherlock Holmes II by Warner Brothers and The Golden Compass by New Line Cinema. 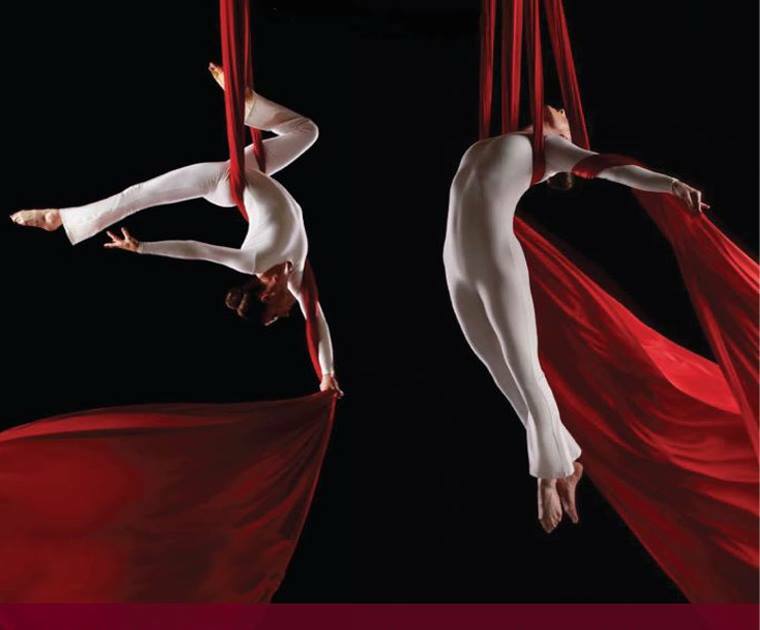 A signature group silks act – an event highlight of strength, flexibility and grace, especially suited to high and spacious venues. Between 2 and 6 performers on silk or hoop. The act is 6 minutes in length. Solo silks and hoop acts – clean and classic with beautiful lines and dramatic performance and perfect for more intimate events. 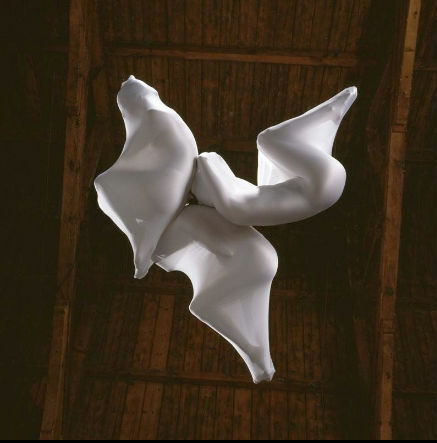 On silk, hoop, or trapeze – adds an extra aerial dimension to your event as guests enter. The act is 20-30 minutes in length.